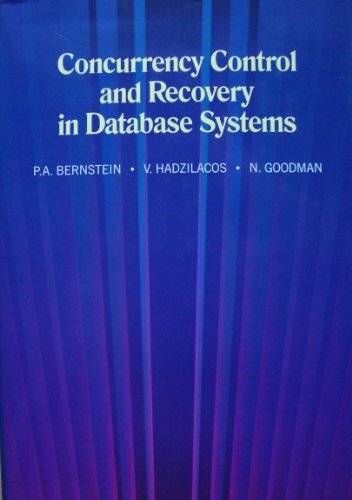 This book is about techniques for concurrency control and recovery. It covers techniques for centralized and distributed computer systems, and for single copy, multiversion, and replicated databases. These techniques were developed by researchers and system designers principally interested in transaction processing systems and database systems. Such systems must process a relatively high volume of short transactions for data processing. Example applications include electronic funds transfer, airline reservation, and order processing. The techniques are useful for other types of applications too, such as electronic switching and computer-aided design - indeed any application that requires atomicity and reliability of concurrently executing programs that access shared data. This book presents different ways of theoretical and practical advances and applications of data mining in different promising areas. The book will serve as a Data Mining bible to show a right way for the students, researchers and practitioners.